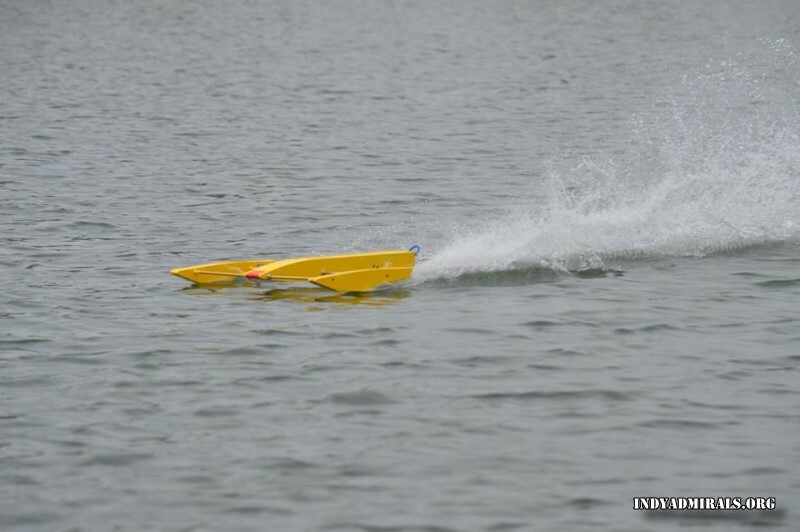 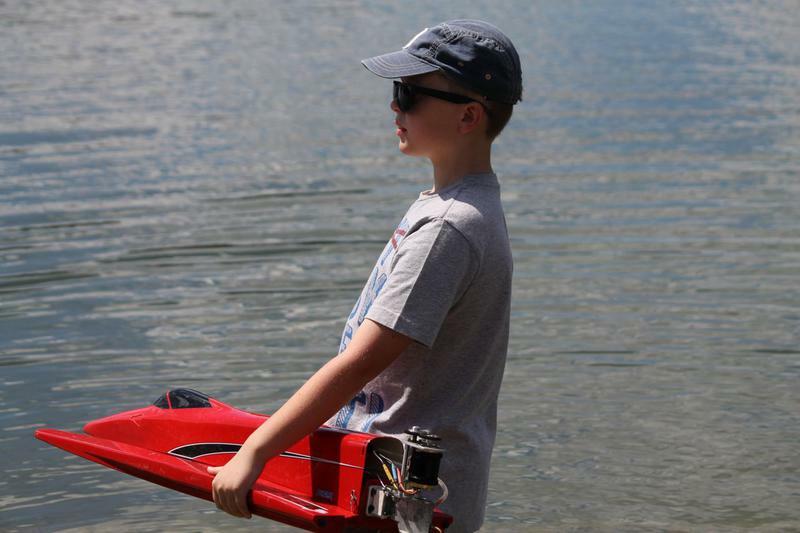 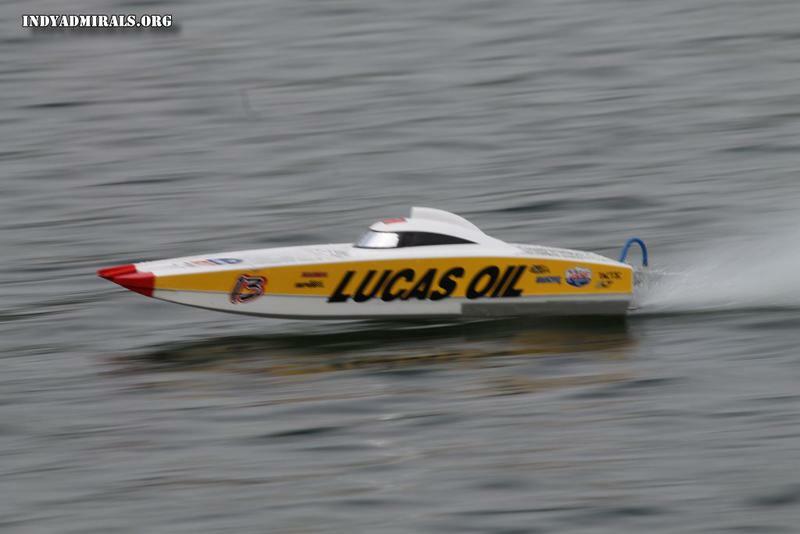 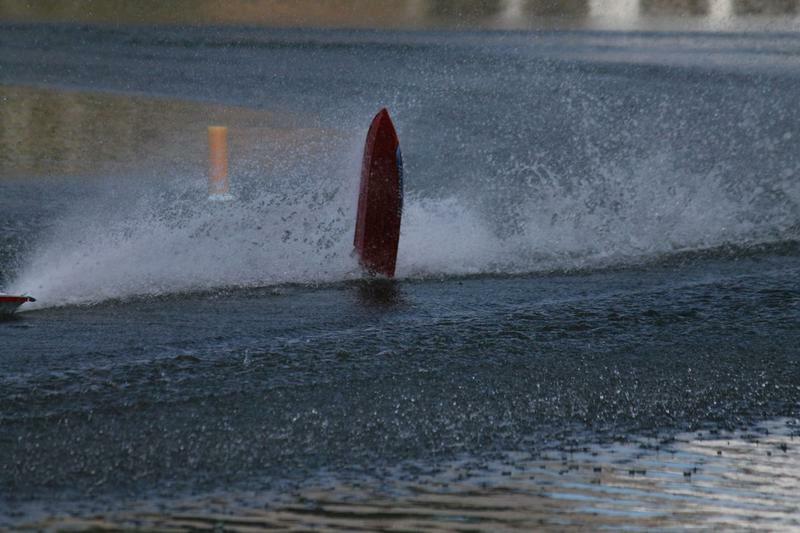 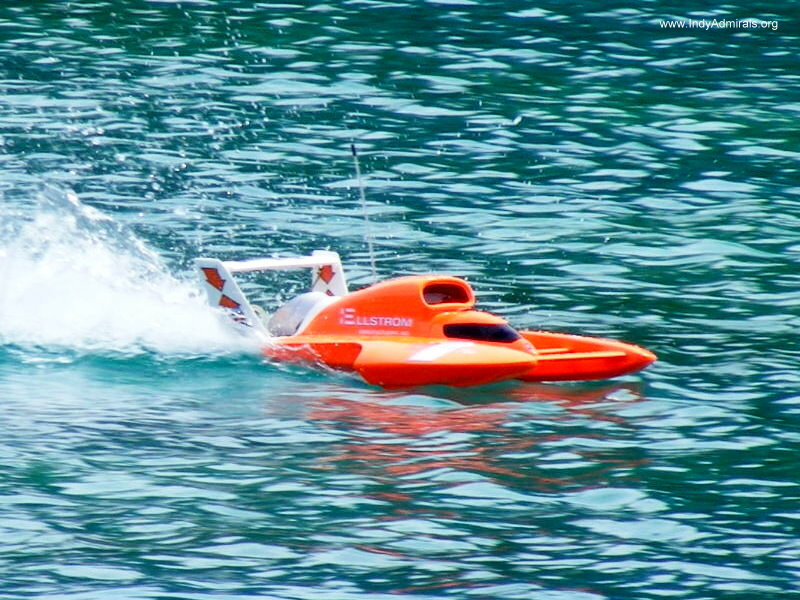 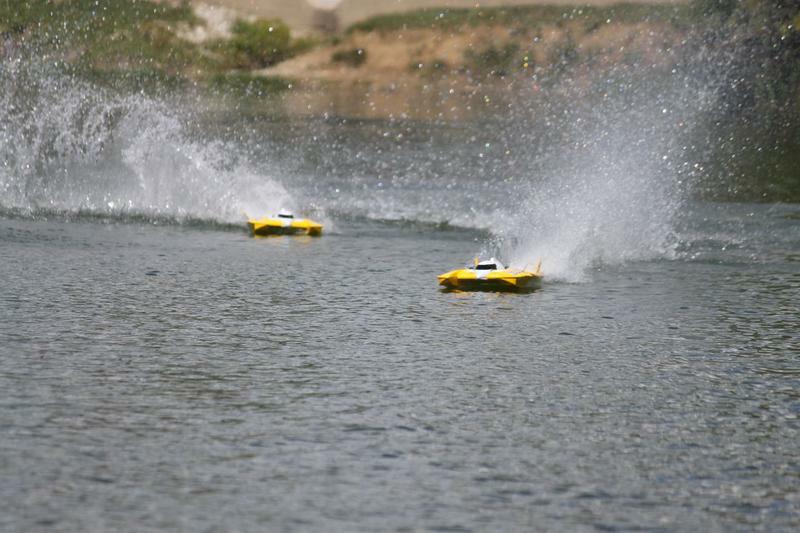 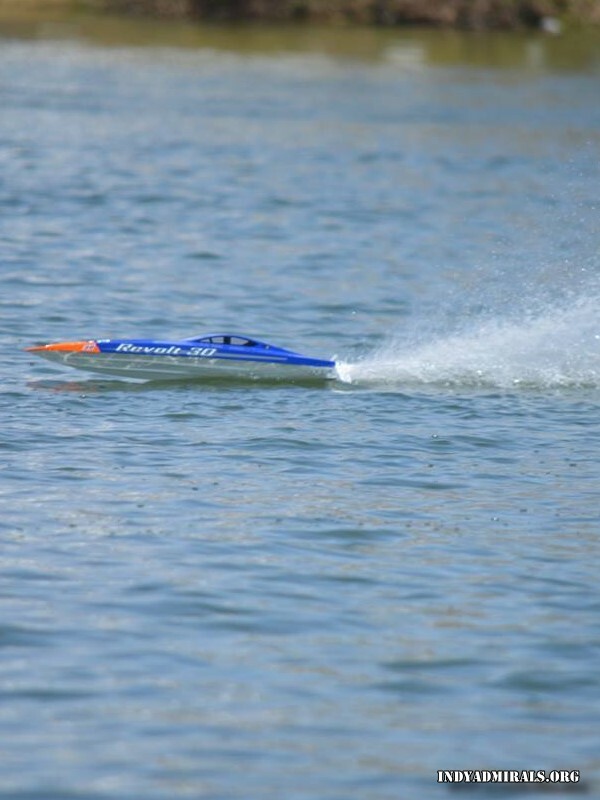 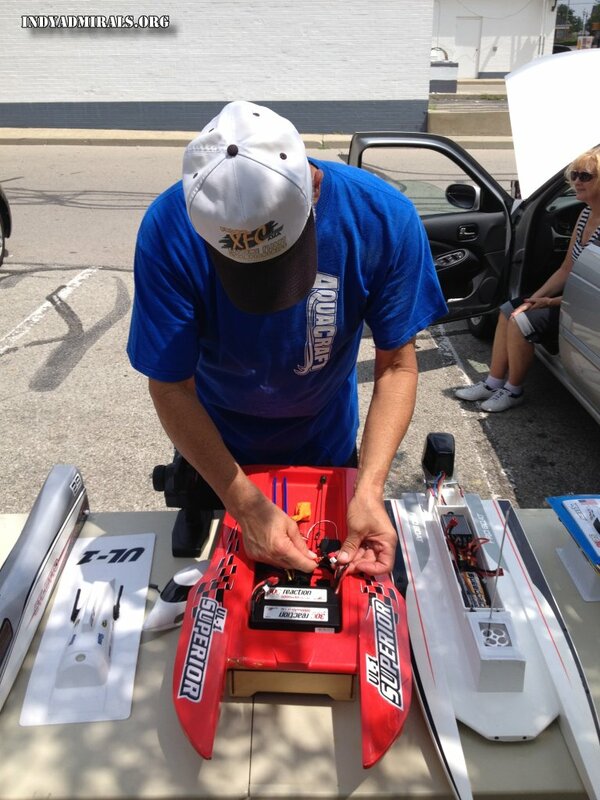 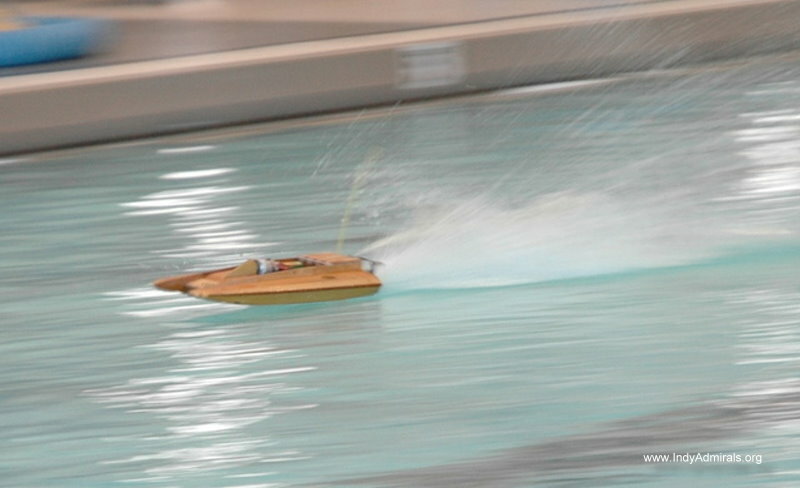 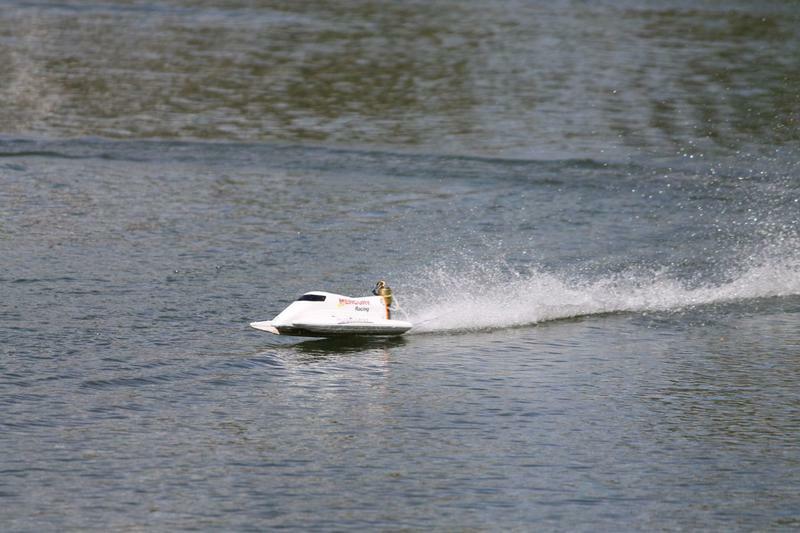 The Hughey Fast Electric Racing Series is our way to enjoy fast electric RC boat racing. 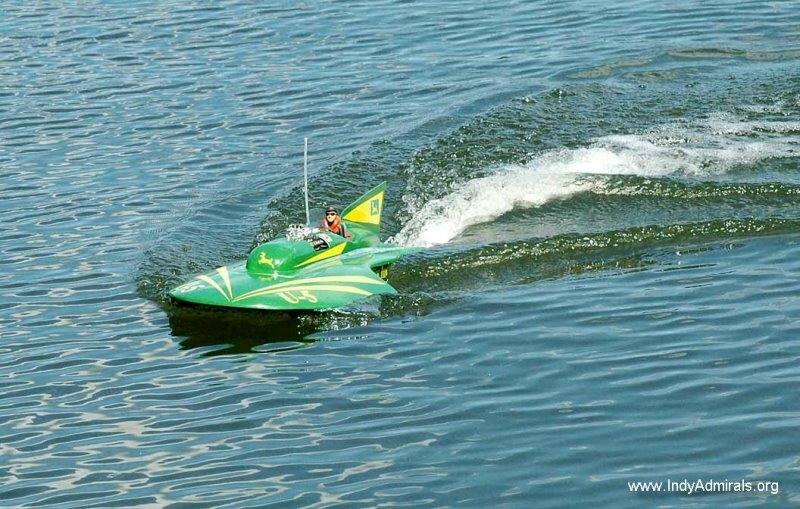 The series is named after Dee and Ed Hughey. 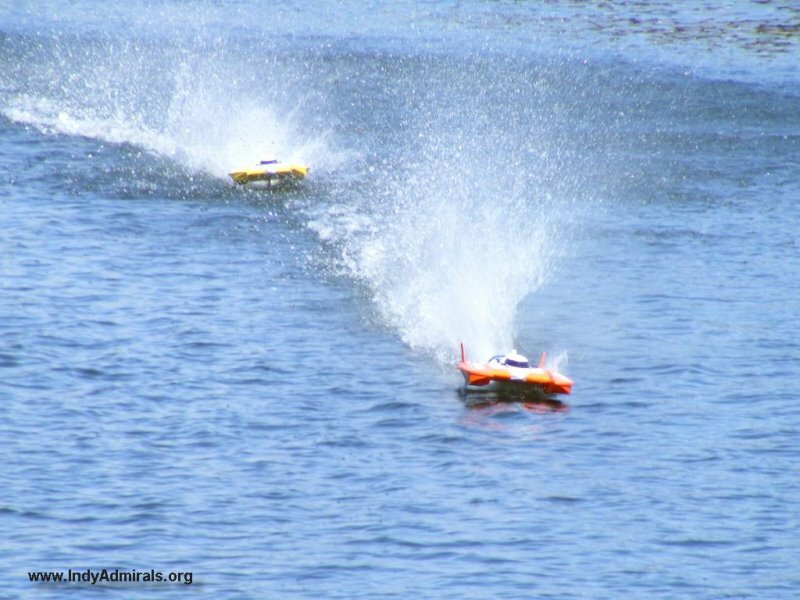 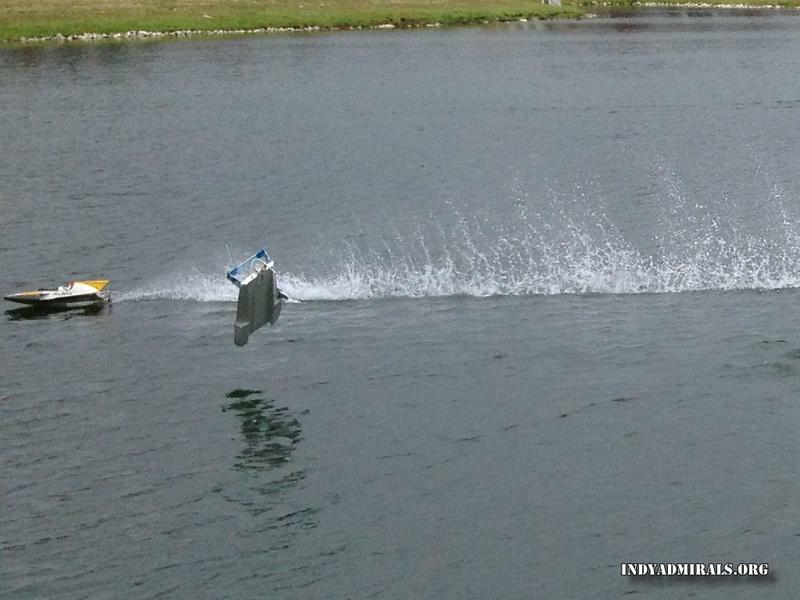 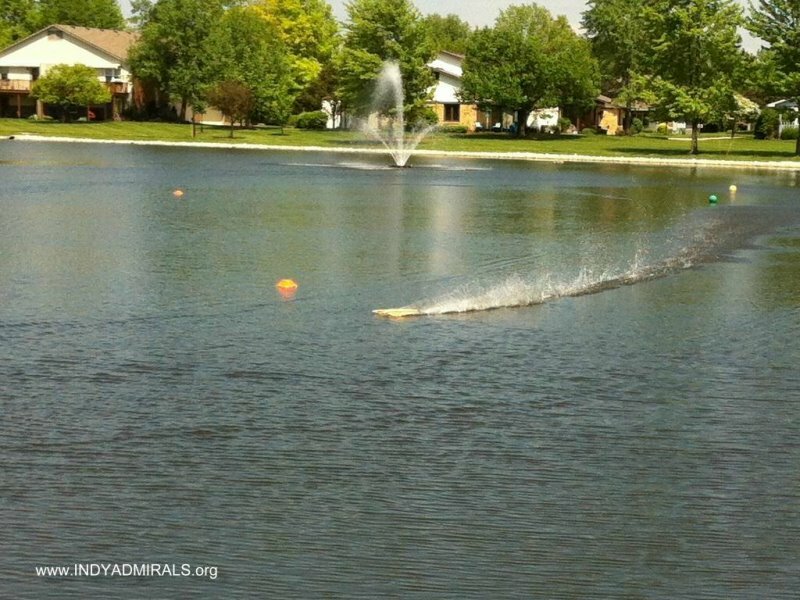 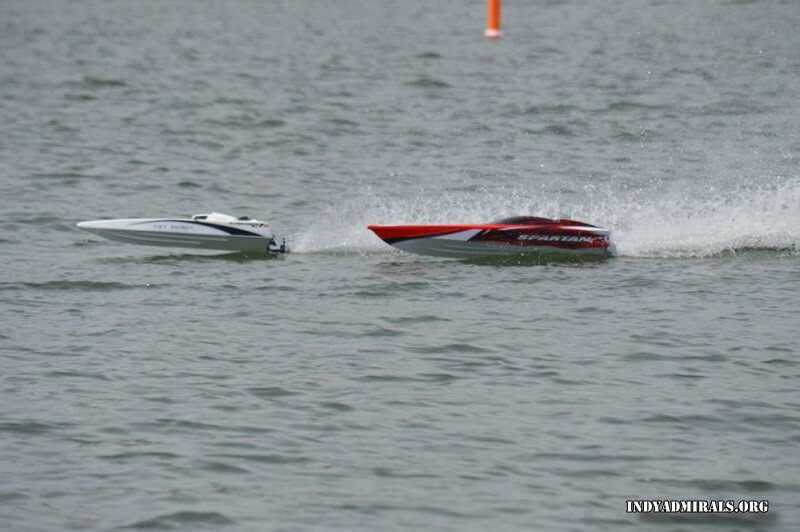 Both were members of the Admirals for many years and contributed greatly to the RC boat racing community. 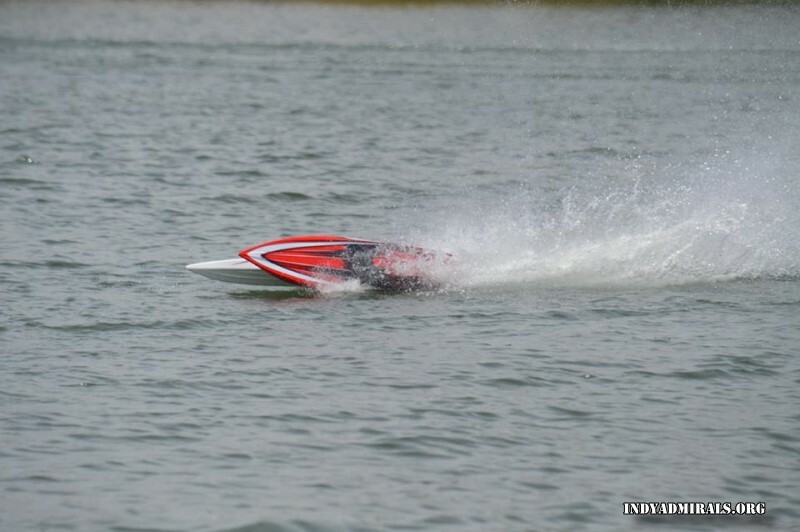 Some people just like to go fast on the water... Ed and Dee certainly made that happen! 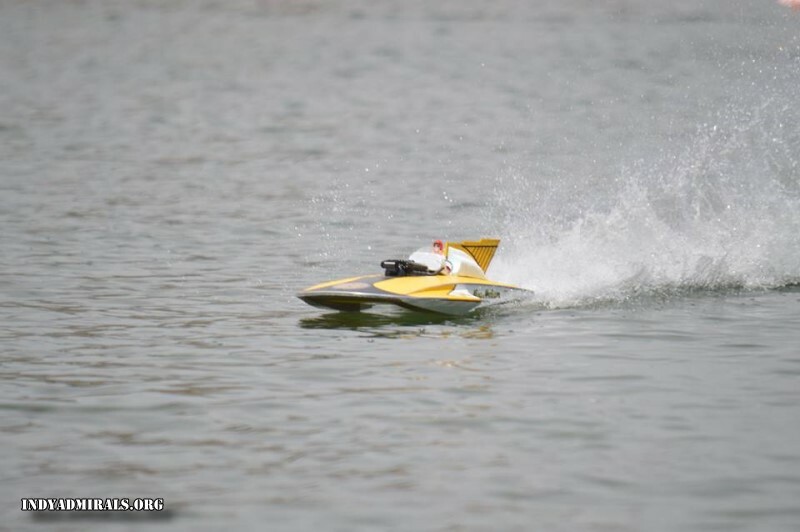 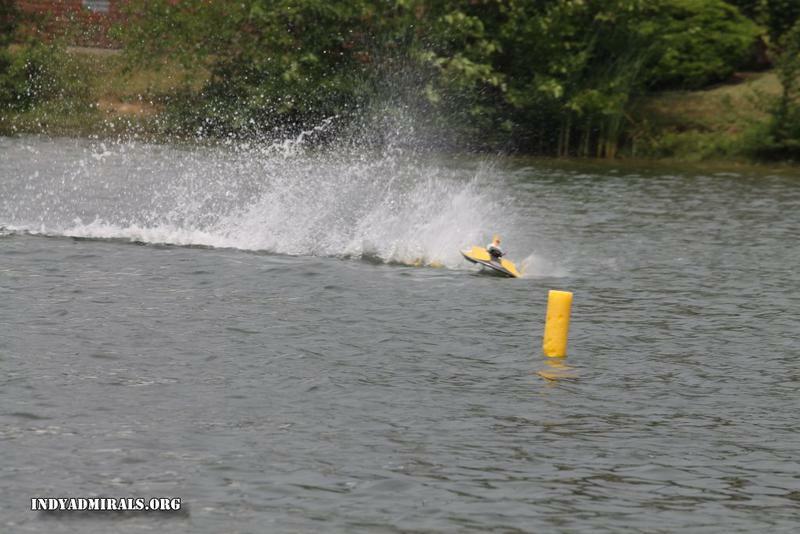 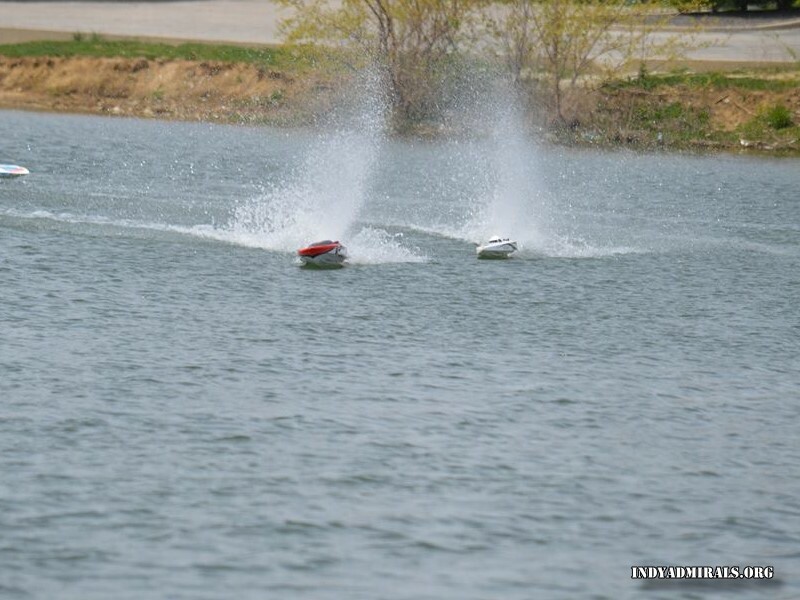 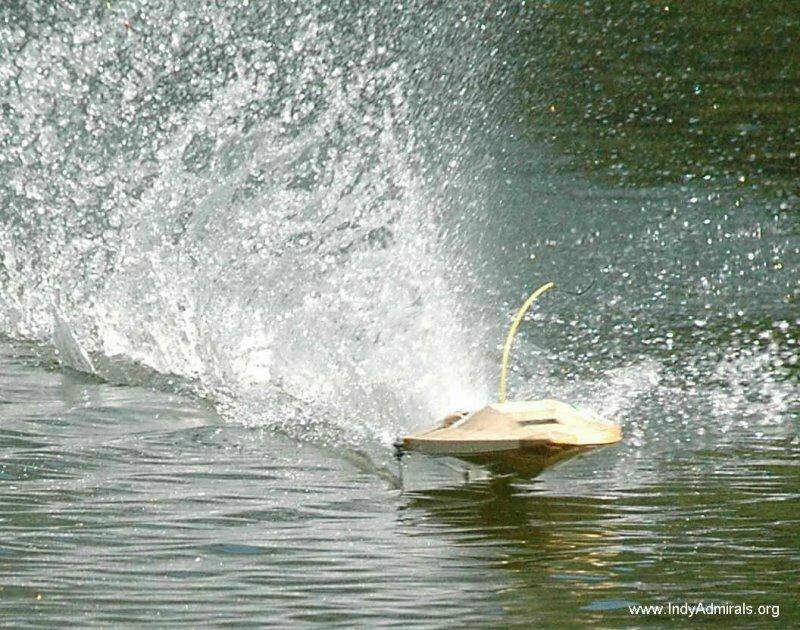 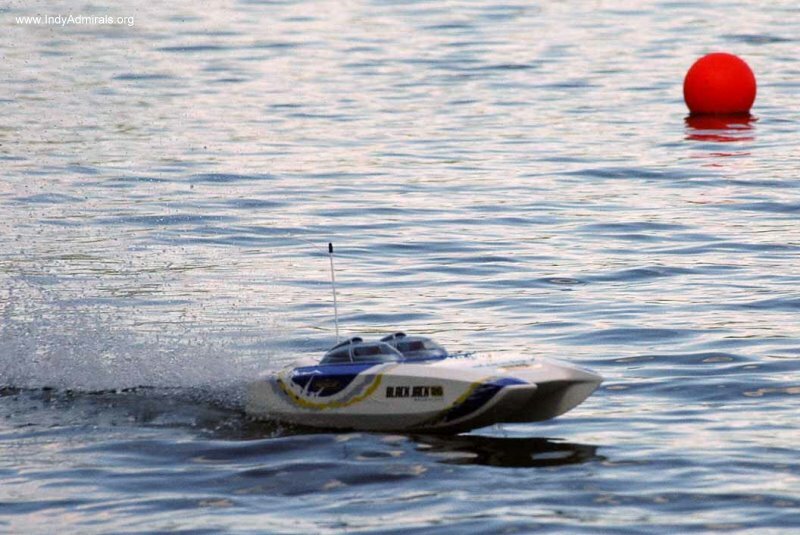 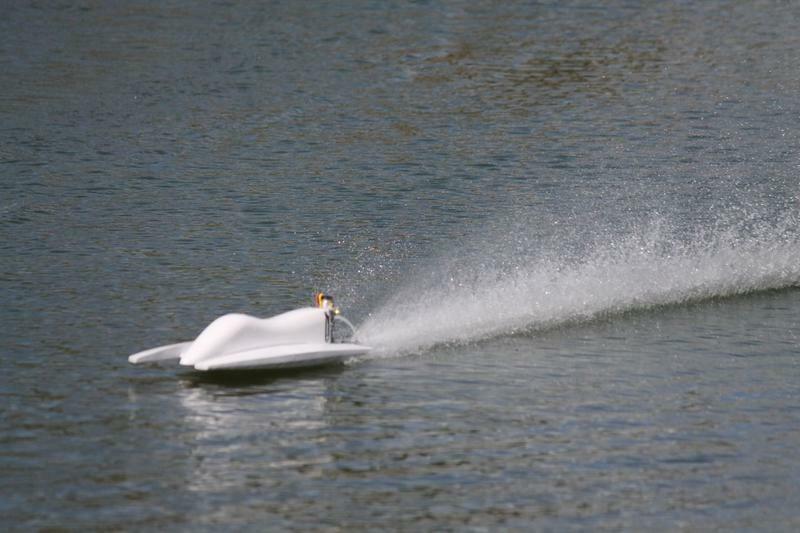 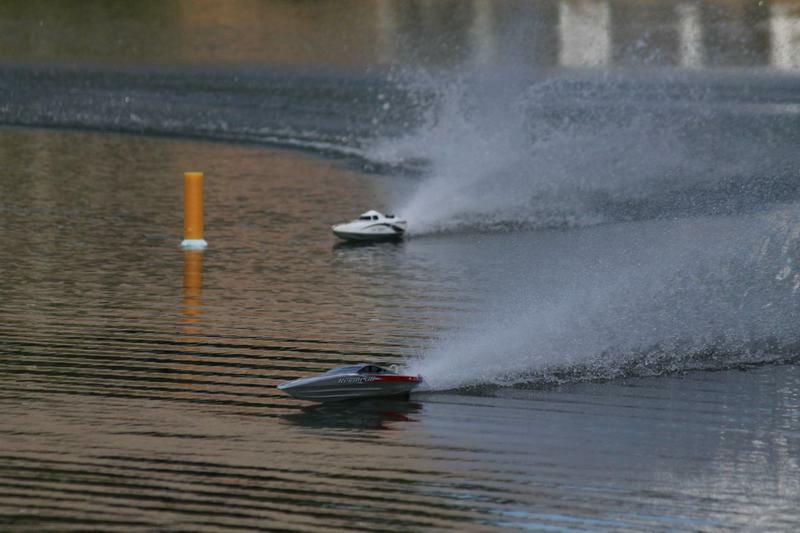 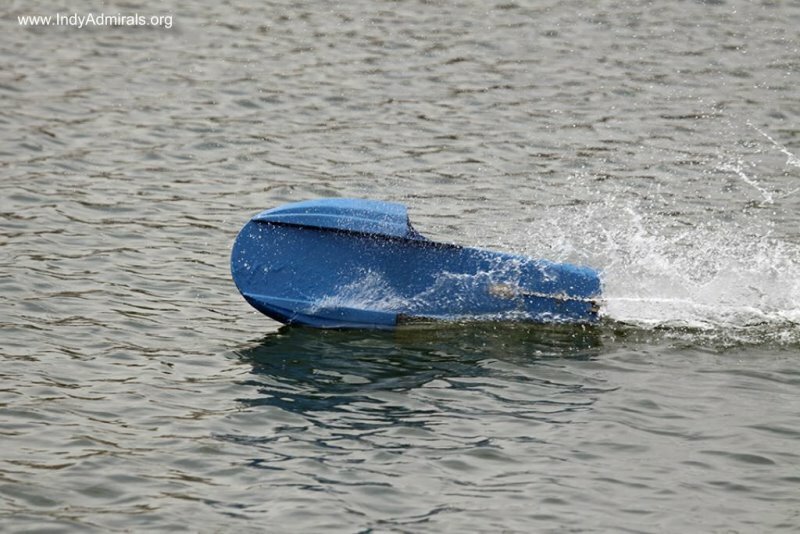 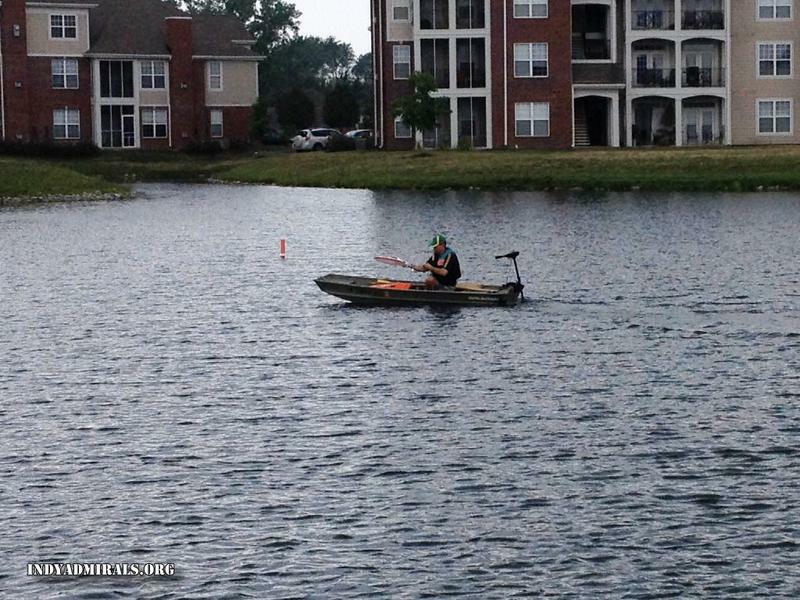 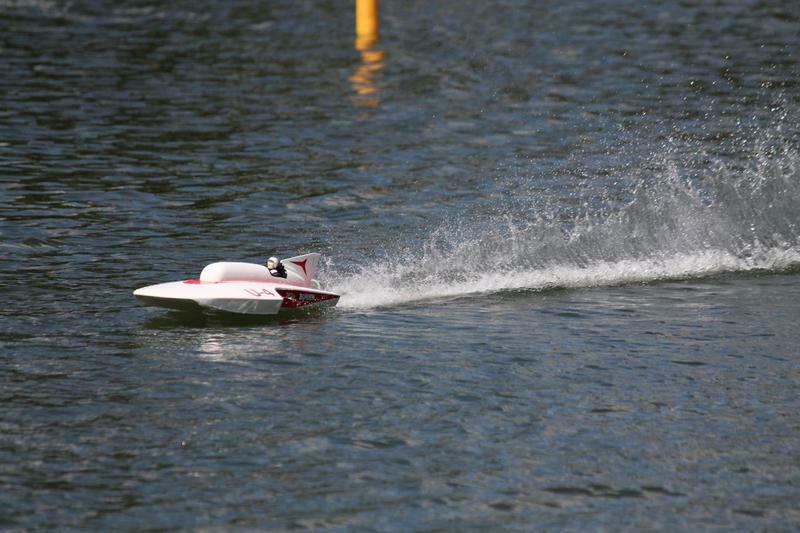 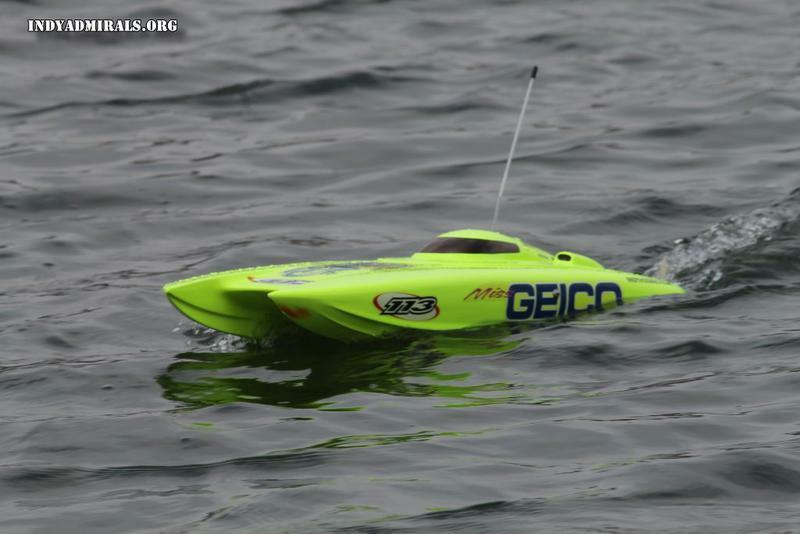 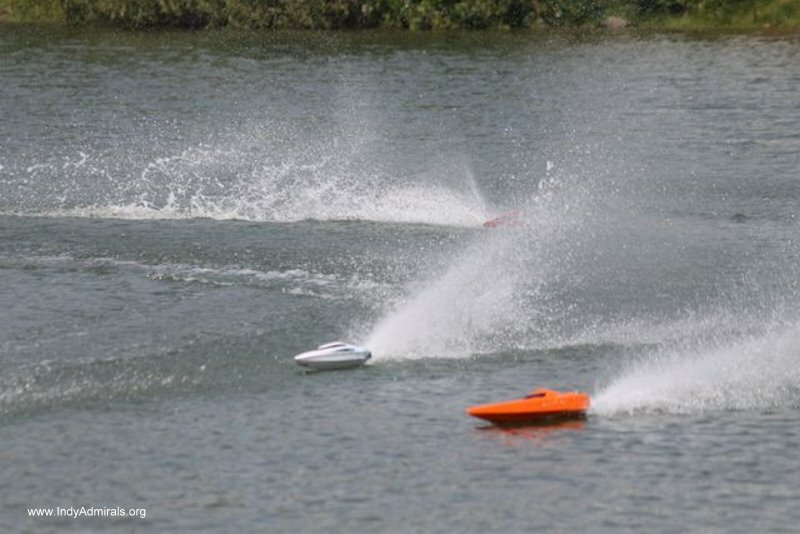 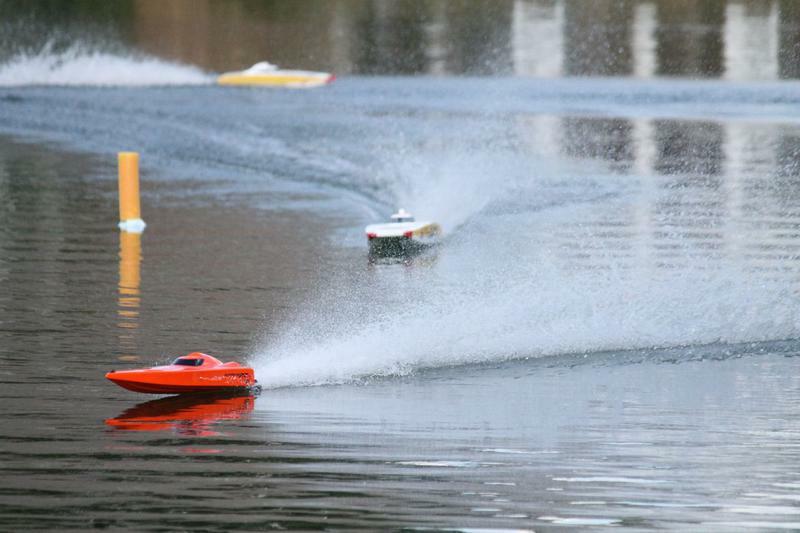 The world of fast electric R/C boats is one of the biggest growth areas in the radio control industry. 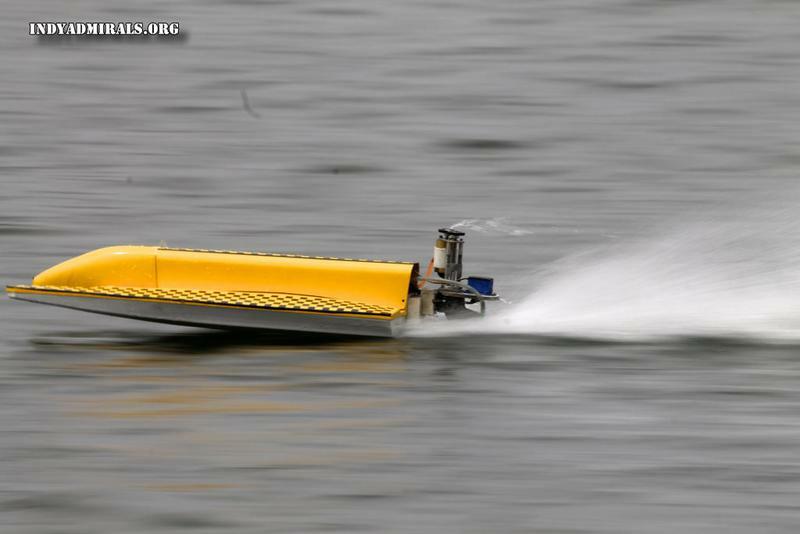 The reason is high tech motors and batteries! 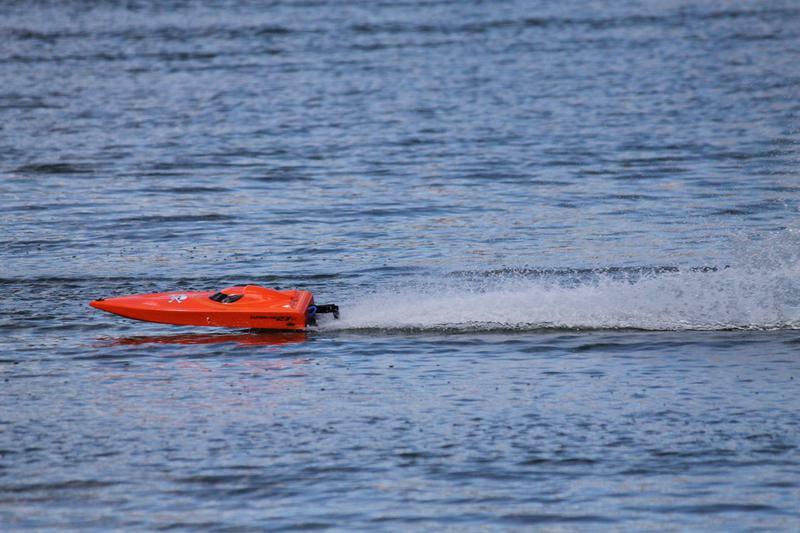 The new brushless motors and heavy duty speed controls, combined with lithium-polymer batteries, make electric boats fast, dependable and long lasting! 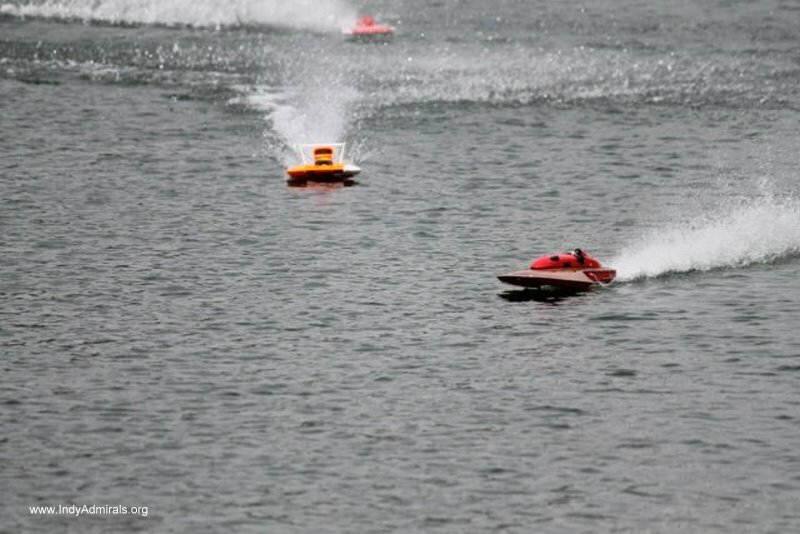 Many modelers would argue that fast electric is even better and faster on a power-to-weight ratio than nitro (glow) powered boats! 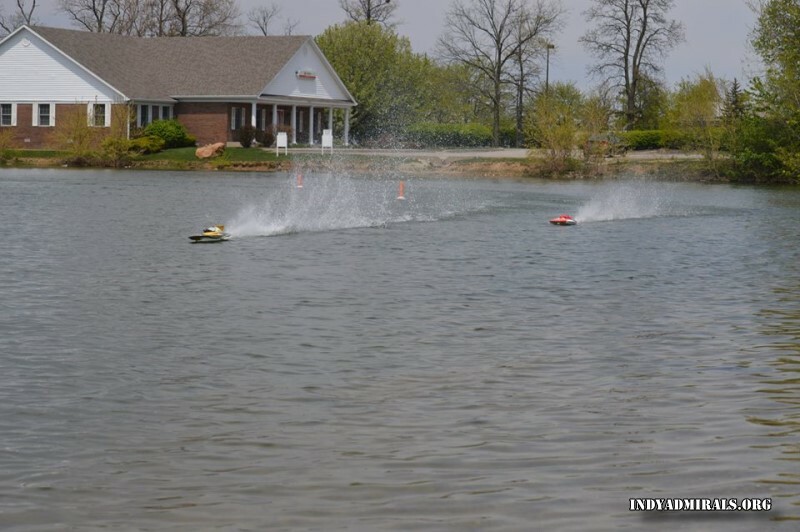 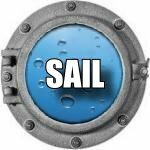 We have scheduled races and casual get-togethers where we set out marker buoys and enjoy running a full course. 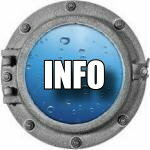 There are several classes available. 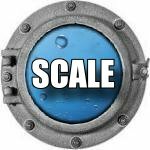 Some are based upon power set-ups while others are based on appearance and scale aesthetics. 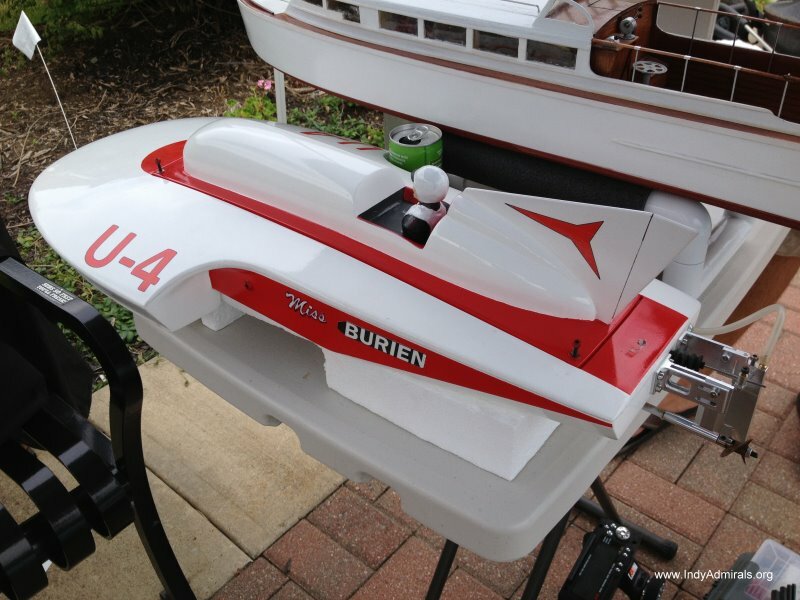 Before you buy a boat, we strongly suggest talking to one of our experienced members or knowledgeable personnel at your local hobby shop. 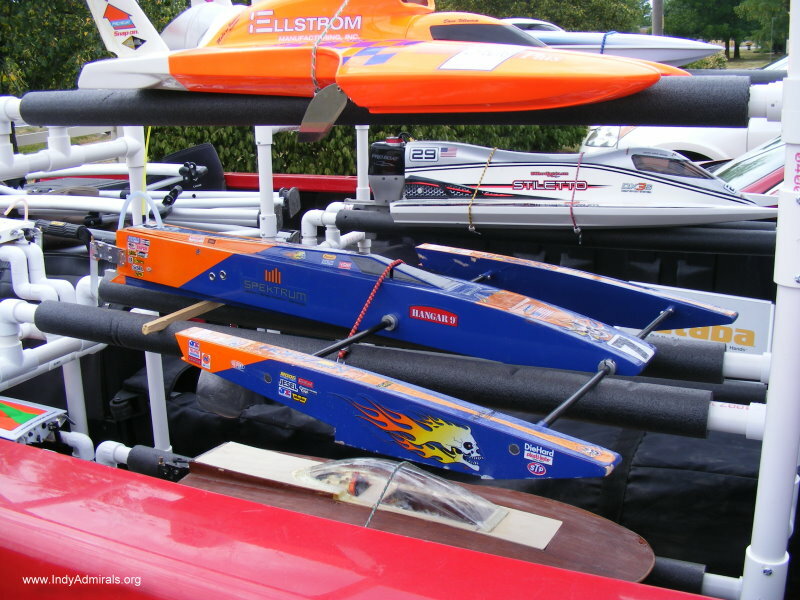 Always try to buy "hobby grade" boats from a source that will support you with parts and knowledge. 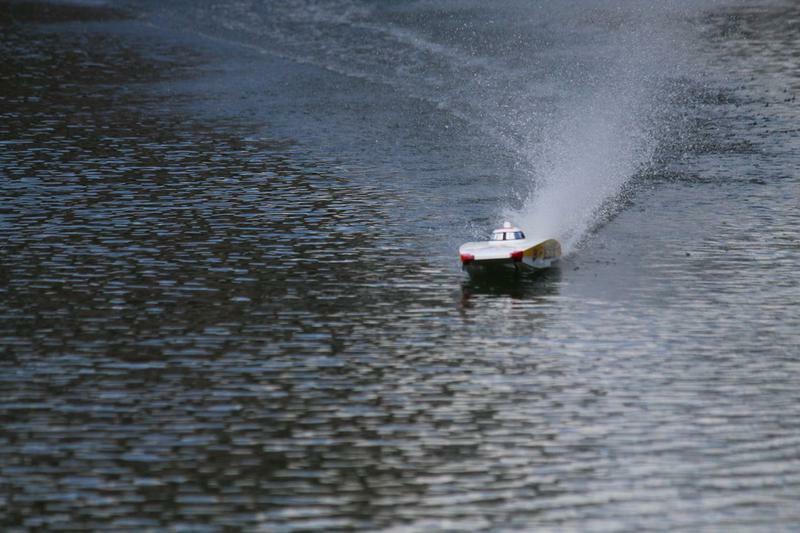 The kinds of R/C boats you find at discount stores are usually "toy grade." 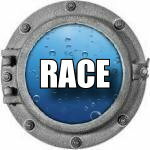 They are not very fast and usually cannot be repaired. 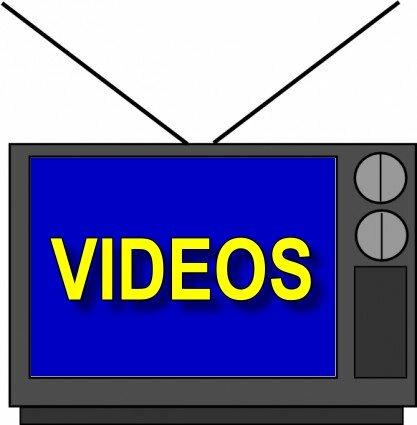 You will be disappointed. 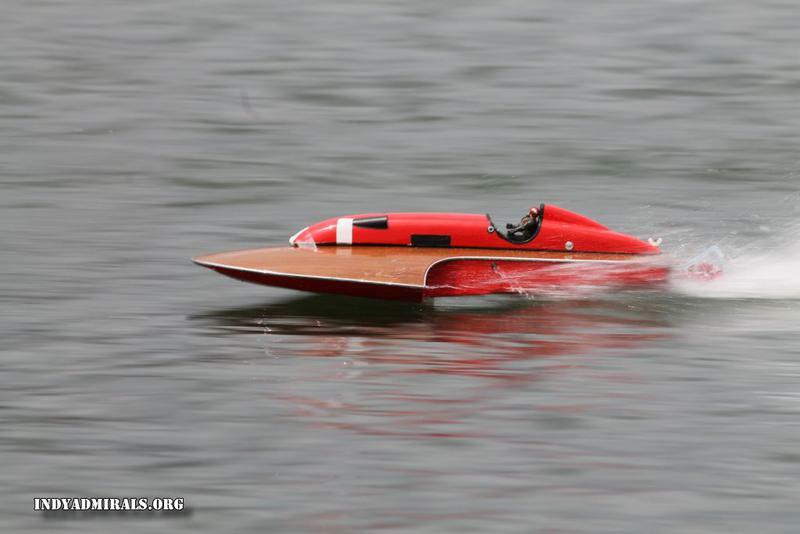 Want to learn more about fast electric boats? 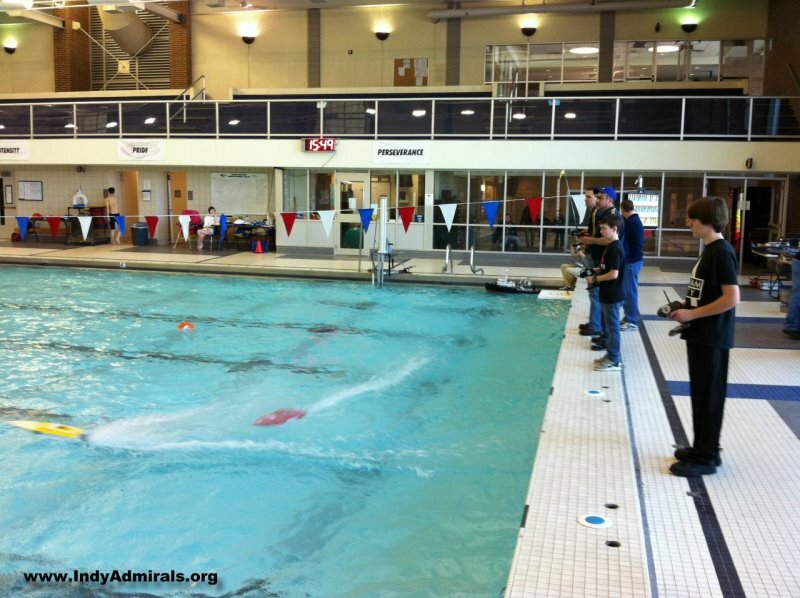 Come to an Admirals meeting or Admirals fast electric event!